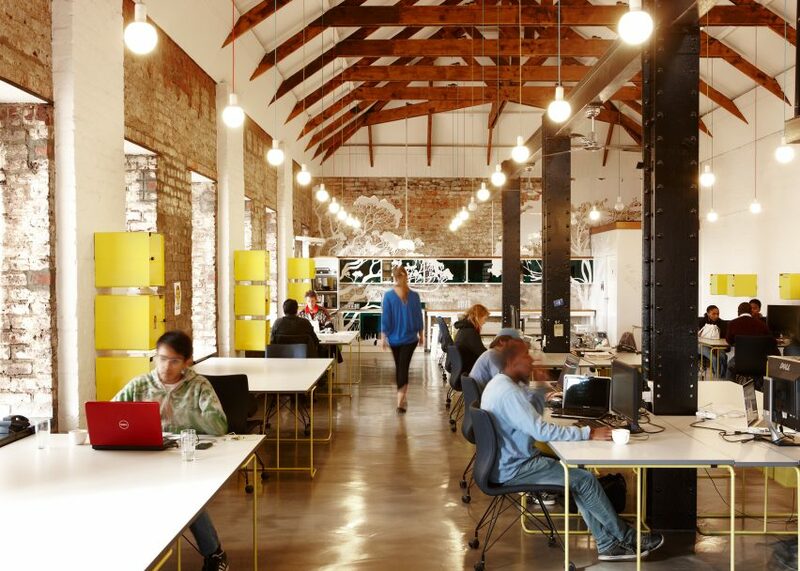 Workers in open-plan offices are more distracted, unfriendly and uncollaborative than those in traditional workplaces, according to the latest industry survey. Employees who have to share their office with more than two people experience high levels of colleague distrust and form fewer co-worker friendships than those working in single-occupancy offices, according to the new report from Auckland University of Technology. The survey of 1,000 workers in Australia assessed the extent to which the design trend for open-plan and shared offices impacted workers. It showed that, despite the continuing trend for open-plan offices and co-working spaces, workers become less productive and friendly when the number of people they share an office with increases. "Shared work environments, and in particular hot-desking, are associated with increases in distraction, negative relationships, uncooperative behaviours and distrust," said the report. "As work environments became more shared, not only were there increases in demands, but co-worker friendships were not improved," it continued. "This may be due to amplified demands in terms of workload in hot-desk environments – for example finding and personalising a space – in addition to the uncertainty associated with not having an assigned workstation, or the increased load from distraction in a shared space." Those with their own offices, those who work from home and those who share a space with just one or two others reported the highest levels of concentration and colleague friendship. But with heightening rent costs and the prevalence of mobile technology, there is little chance companies will revert to providing single-occupancy offices for employees. Instead, co-working spaces are popping up across major cities as start-ups and small companies jostle over limited room. "Future workers may have little or no expectation that their employer will provide either privacy, or their own designated space," said the survey. The report suggests noise-cancelling headphones, walls of planting and bookshelf partitions as ways to create pockets of privacy within open-plan spaces. Open-plan and hot-desking offices were originally believed to increase collaborating and improve employee relationships. But this report is the latest in a string of research showing the pitfalls of open-plan offices. Earlier this summer Gensler's 2016 UK Workplace Survey found that a lack of private office space is constraining the creativity and productivity of workers. Research by British office equipment company Expert Market has also found that open-plan office workers experience too many distractions to work effectively.